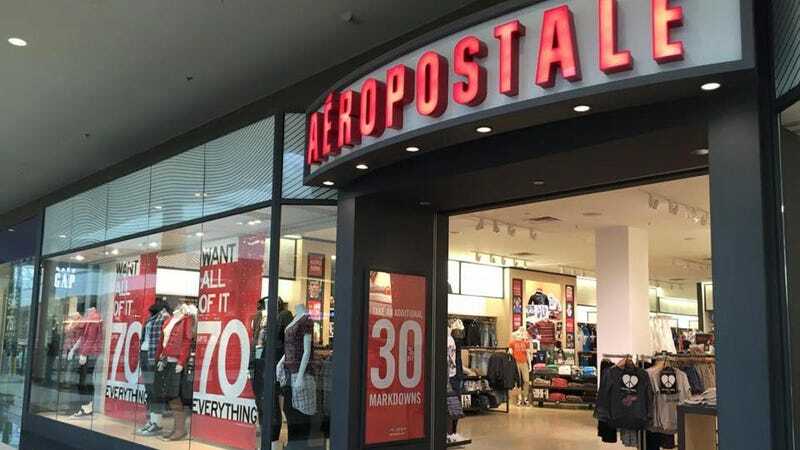 Since last week, our tips@deadspin.com inbox has been receiving a series of emailed receipts for purchases and returns made at the Aeropostale store at Water Tower Place in Chicago. The transactions are on multiple credit and debit cards, so either we are being pranked by one store employee, or by multiple Aeropostale shoppers. Well done, either way. May 9: Camisole and jeggings, heavily discounted. May 9: Two polo shirts. May 9: A whole bunch of stuff returned, a whole bunch of stuff bought. May 11: Some sort of tanktop probably. May 12: Denim jacket and a towel. Chicago, you are going to look great this summer. Please send us tips, story ideas, and receipts at tips@deadspin.com.